The Sokkia 12-Foot SRX Aluminum Prism Pole for RC-PR3 727070 works with Sokkia's RC-PR3 SRX Robotic Total Stations remote control. 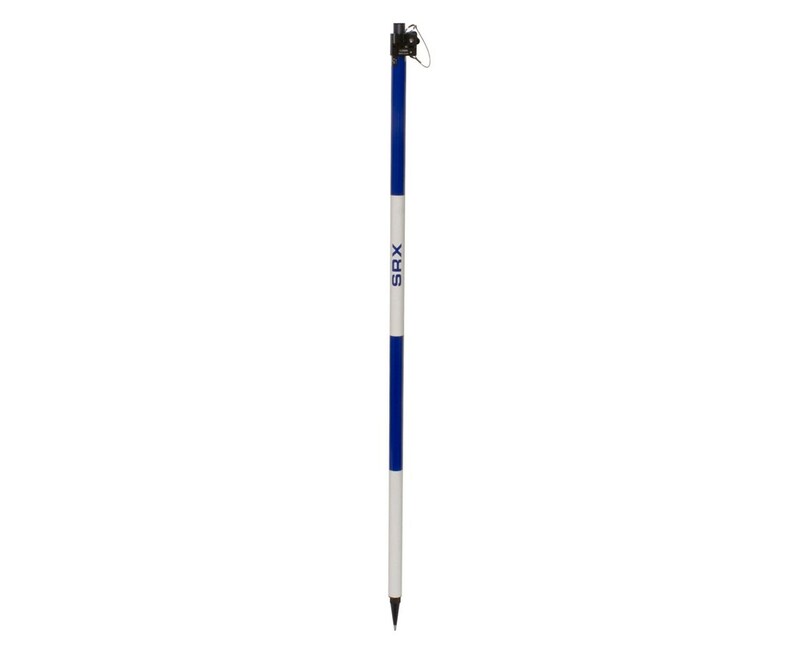 This prism pole features dual graduations in hundredths of a foot and centimeters as well as a special D-shape rod that is easy to grip and aligns easily with most surveying instruments. This prism pole has two adjustable sections covered with alternating blue and white markings that extend to 12 feet and collapse to 5 feet. You can secure the length of these sections by sliding the prism pole's locking pin into the necessary hole on the prism pole. There is also a 5/8 x 11-inch thread on top of the prism pole and a fixed tip at the bottom. Surveying professionals will also appreciate this prism pole's wear-resistant aluminum construction.